As some people will know I recently moved to a new role within the Office of Scholarly Communication at Cambridge (further blog posts on that in the new year). 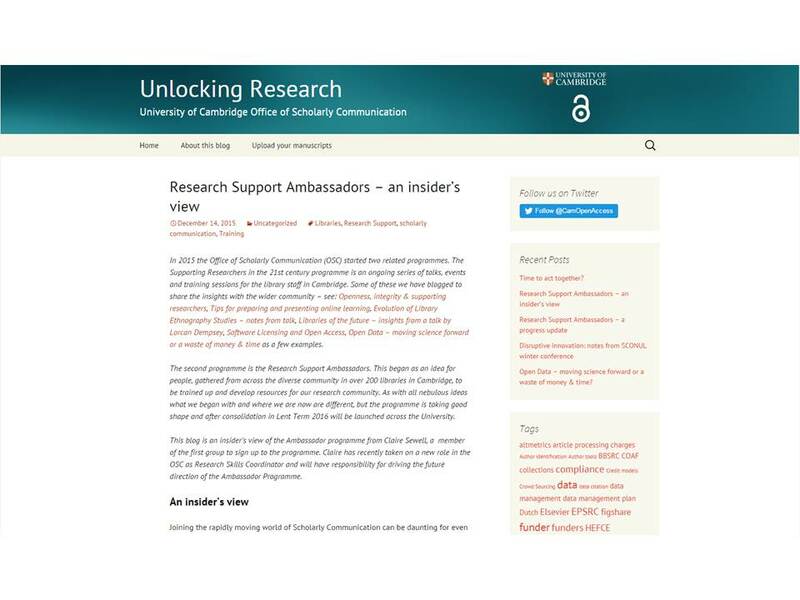 One of my first priorities has been to manage the Research Ambassadors Programme which aims to encourage staff from across the libraries to get involved in teaching and training other staff and users. I have taken part in the Programme as a participant and am really looking forward to seeing it from a new perspective. In the meantime I have written a guest post on our department blog on the Programme and there is also a corresponding view from the outside. If you are interested in reading about the Programme then start here (see if you can spot me in the photo) and I will post more in 2016!